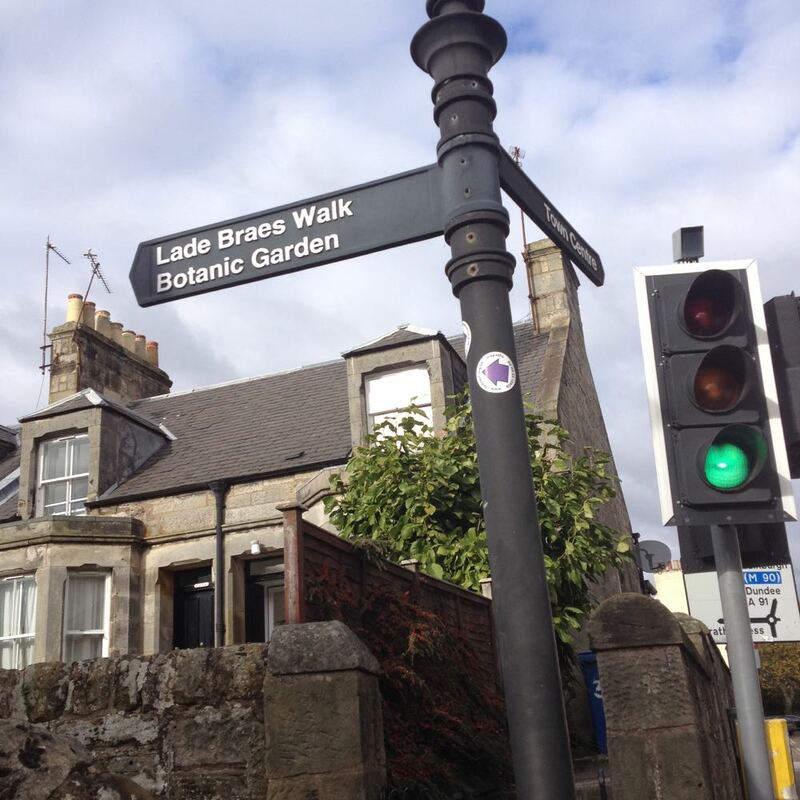 The Lade Braes Walk is one of the most popular walks in St Andrews. 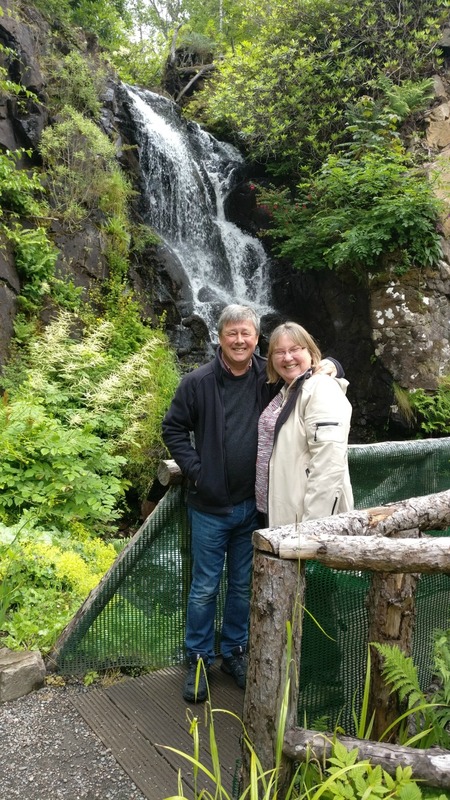 The 1.5 mile walk from the town centre to the Law Mill follows the route of an old mill lade with its origins dating back to the middle ages. Much of the walk today follows the Kinness Burn. 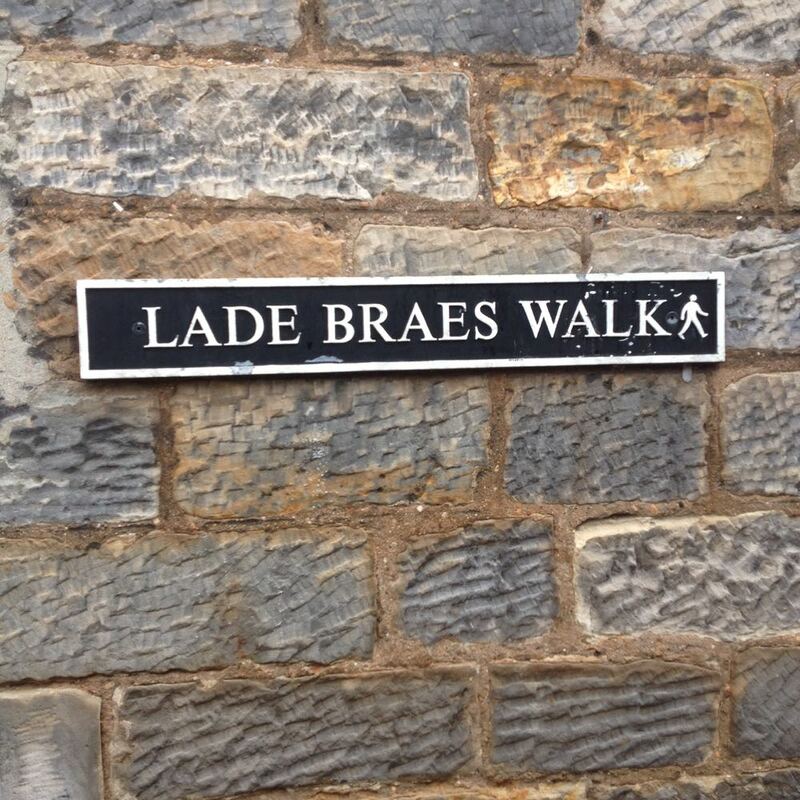 The word “lade” means a watercourse created to lead water from a mill pond above a watermill. The word “braes” is the scots word meaning high ground usually near a river or in this case a burn. The walk starts in one of the most unlikely places, the middle of South Street one of the two main streets in the town. Look for the Madras College building and Blackfriars Chapel approximately fifty yards on the right you will see a narrow walkway with high walls on both sides. Proceed down the path as in the above picture. The first part of the walk takes you to Queens Terrace a mixture of Victorian and Edwardian houses. The large house at the bottom of the path on the left was once Greyfriars Roman Catholic School. At this point the path narrows as it passes behind Brooksby on the left and the back of Madras College on the right. 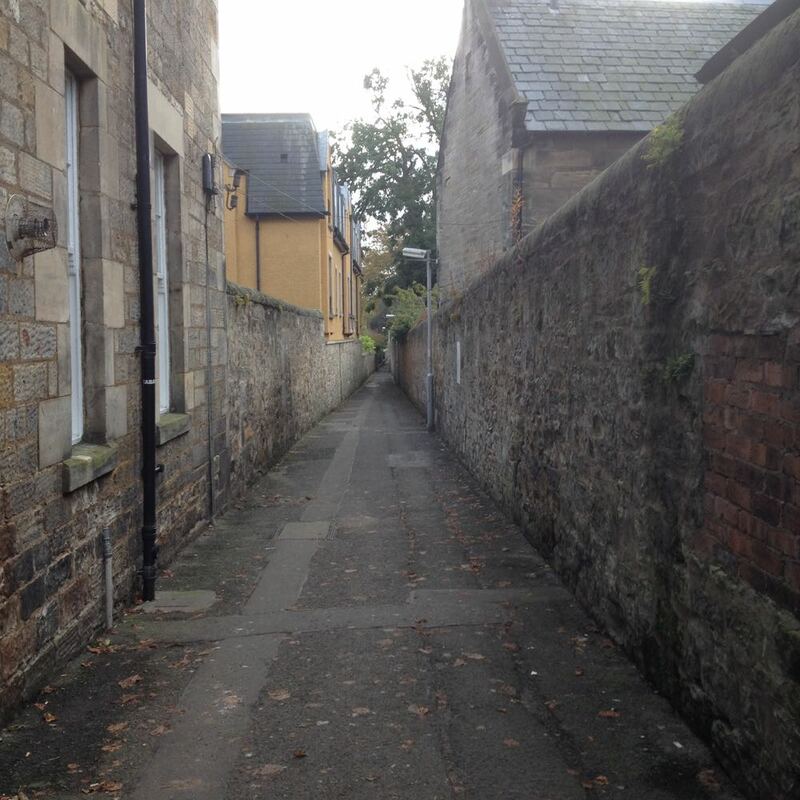 A few yards along you will come to Louden’s Close which is one of the medieval close’s leading back to South Street. As you cross the road at the top of what’s known as Melbourne Brae you will come to the car park accessed from Argyle Street. This was once part of the East Neuk Railway to Crail and a humped- back bridge took the path over the railway line. 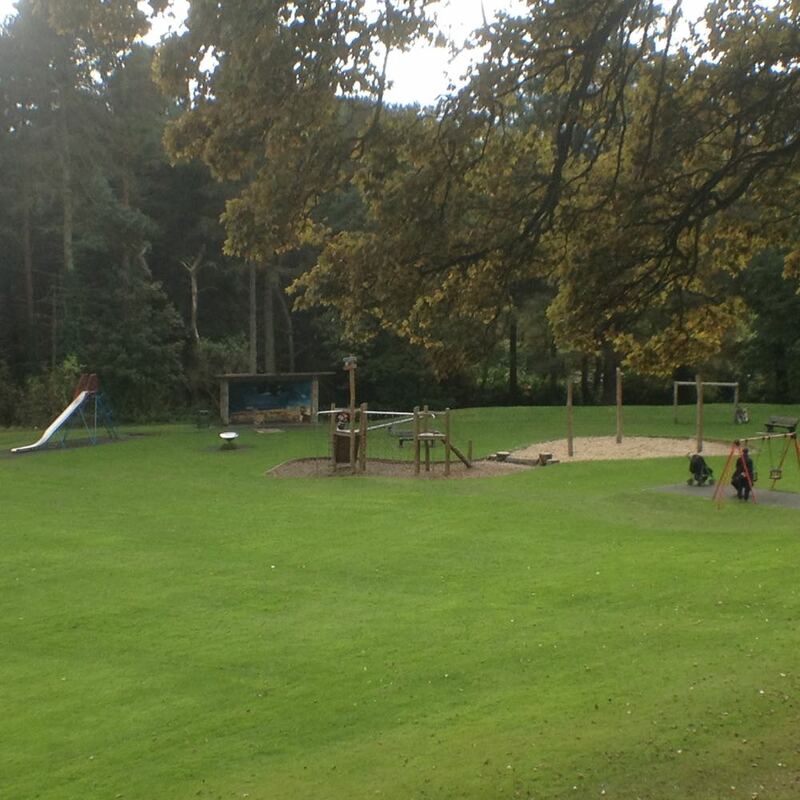 A little further on you will come to Cockshaugh Park which is an ideal spot for a picnic. Leaving Cockshaugh you now have a choice as the path splits into a high level or lower level path. 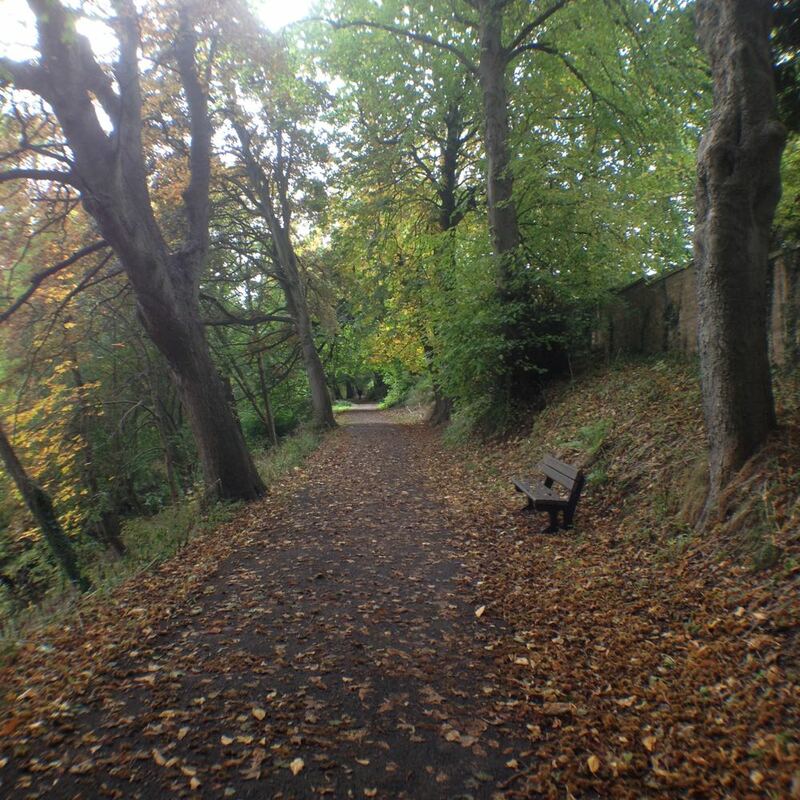 The large trees lining the walk were planted in the early 1800’s under the direction of two town councillors John McIntosh and John Milne. Memorials to both can be found along the high level path. This section of the path is particularly colourful in autumn. For nature lovers there are lots of different types of birds to spot. This is a quiet peaceful part of the walk with a few benches providing an opportunity to stop, listen to the flow of the water in the burn. As the lower and upper paths come together a green bridge and pathway on the left takes you up towards The Canongate and the Botanic Garden. However the Lade Braes route carries on past the stone built cottage on the left and onward past high fir trees and a clearing. This was once used as a rifle range up until the late 1960’s. Round the next corner you will come to another clearing which was once used as a skating pond. A bridge to the left takes you to Hallow Hill the scene of a brutal murder in the book Distant Echo’s by Val McDairmid. 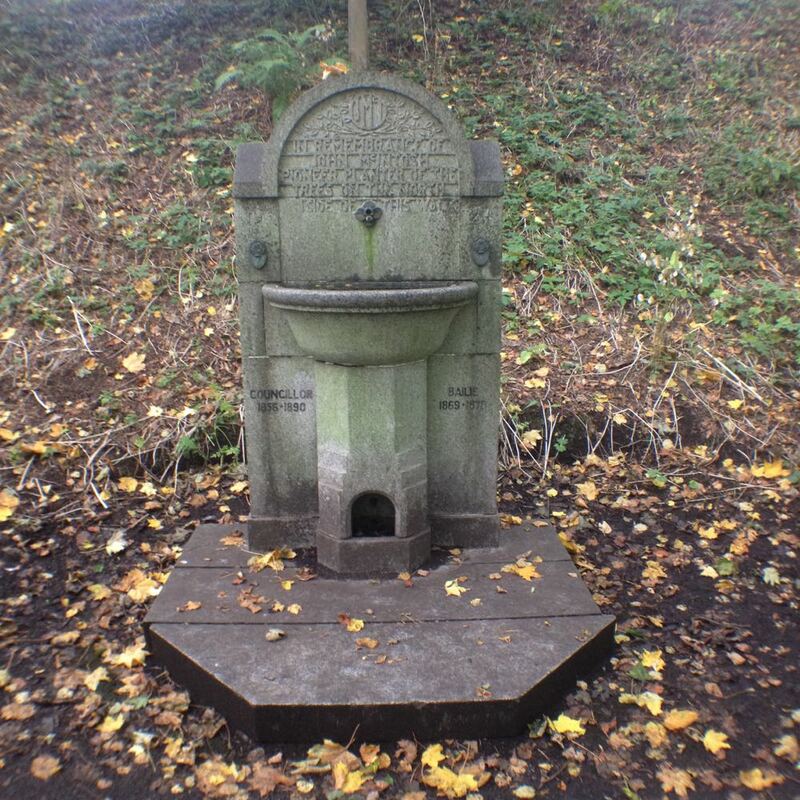 It is thought to have been an ancient burial ground and was the site of an archaeological dig in 1975. You are almost now at the end of your walk. 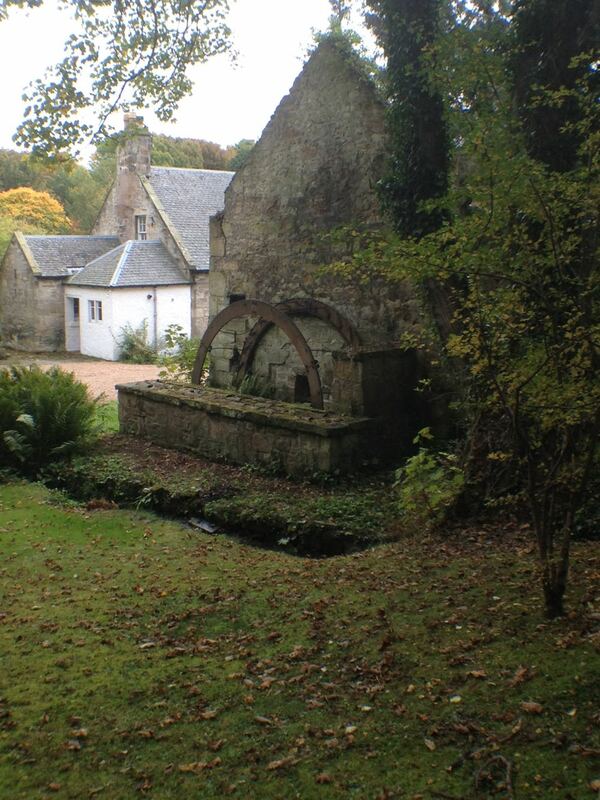 To the left you will find the Law Mill with its upper pond and mill wheel still at the side of the mill building. Cross the stone bridge over the burn. 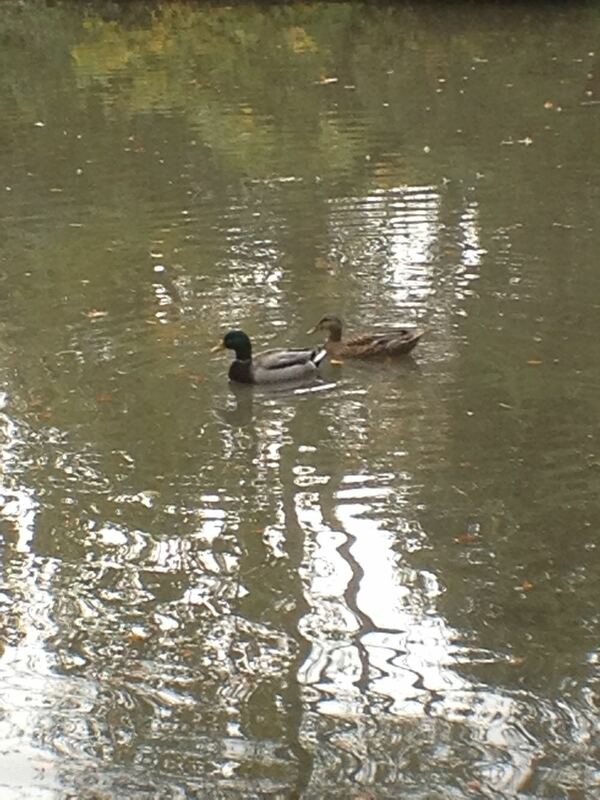 There are seats by the mill pond. The path comes to an end on the main road. Take a left and walk towards the bus stop where you will find a service bus that will take you back to town.